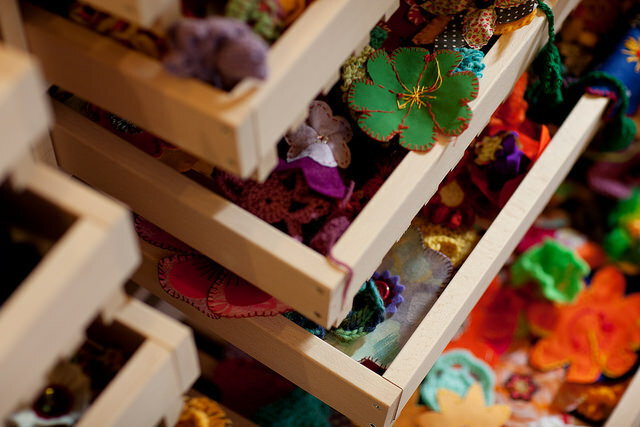 More than 750 knitted, crocheted and stitched flowers made an eye-catching focal point at our Craftivists #wellMAKING Garden exhibition on Tuesday 27th January 2015, the culmination of a six month project that saw over 50 stitch-ins held across the UK. 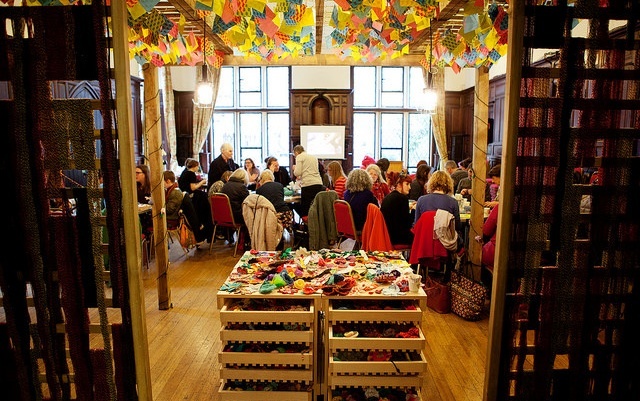 Each craft table had a garden bucket full of quotes from participants across the UK all explaining how they had used craft for critical thinking on the theme of wellbeing. 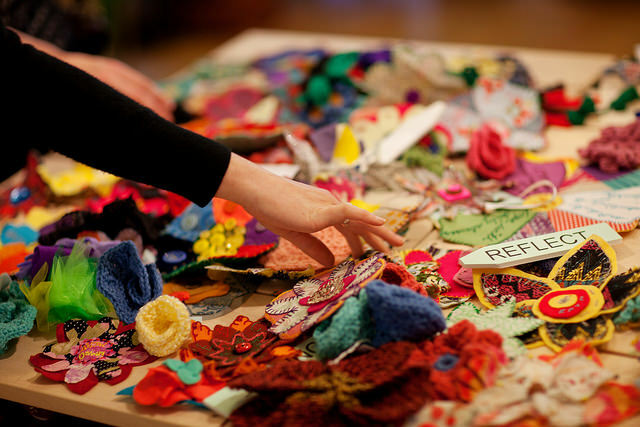 Founded in 2009, Craftivist Collective brings together craft and activism in order to make a difference to individuals and society, exposing and tackling issues of local and global poverty and injustice through provocative, non-violent creative actions. 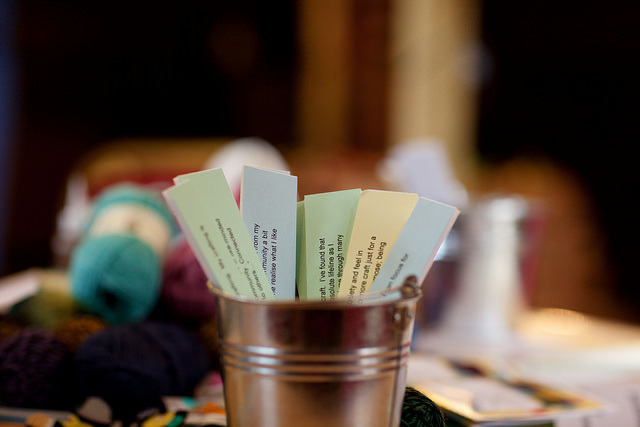 You can find out more at www.craftivist-collective.com. 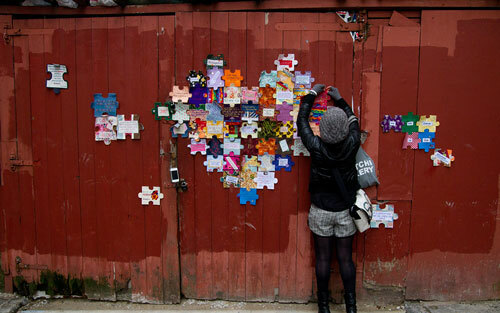 For details about the Craftivist Garden’s partner organisations, visit www.arc.ac.uk, www.falmouth.ac.uk, www.artsforhealthcornwall.org.uk and www.voluntaryarts.org. Logos and campaign imagery, additional participant quotes, and interview opportunities with key project figures, are available on request. 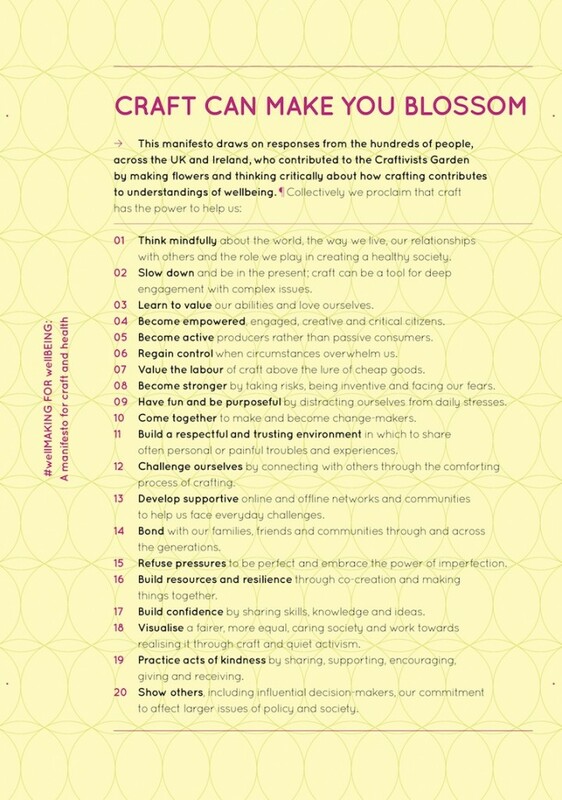 The ‘Craft Can Make You Blossom’ poster is fantastic! I’ll share widely.